My friend has a great voice but she sometimes doesn't know exactly what to do with it. She doesn't hit high notes so she tries to sing alto with the church choir. She doesn't read music so she mostly sings lead in her own range. There is nothing wrong with that if she is singing alone but in the choir arrangements it actually needs to BE alto notes. I have been trying to teach her but I am very rusty since my high school chorus teacher found out I COULD sing high notes and switched me to soprano. Who could help her learn from the best? My Aunt Becca who sang flawless alto and taught me when I was a kid? In Heaven's choir. Our neighbor Hazel who was a classic old-time loud country alto? In Heaven's choir. Family friend Phyllis who sounded as good as the best of the professionals? Also in Heaven's choir. My friend Bettie who has a very soft sweet alto voice? Lives too far away. I told her to search thrift stores for old gospel albums that featured the best alto singer (in my humble opinion) EVER and try to analyze how she was singing. Last month I told you I would write abut the famous wife of former Governor Jimmie Davis. I feel inadequate to do so. There are so many people still around who sang with her, worked with her, and knew her so very much better than I. Then I remembered that most of the people reading this column are newer fans and have never had the pleasure of hearing the people I grew up loving. Let me introduce them to one of my all-time favorite gospel music ladies. Effie Juanita Carter was born on February 15, 1917 in the Clay County town of Shannon, Texas. Her parents D. P. and Carrie Carter met at a shaped-note singing school, married, and had nine children. The family worked hard but struggled to make ends meet. In 1935, Effie became very sick with pneumonia. In order to pay for her medicine, D. P. "Dad" formed a family group and got them a job singing on a radio show on KFYO in Lubbock as the Carter Quartet. As soon as she recovered, Effie known as Anna to the radio audience (though she had a sister named Anna) joined the group. The group now consisted of Dad, brother Ernest known as "Jim", sister Rose, and Anna. Sounds a little confusing but everybody had to have "professional" radio names. They soon moved to WBAP in Ft. Worth one of the most powerful stations in the state. They took the name of the western band they replaced and became THE CHUCK WAGON GANG. In those days the show was mostly country songs and old western songs with a gospel song or two thrown in. This show was very popular with the listeners especially the gospel songs. The CHUCK WAGON GANG could be heard on that show five days a week for the next fifteen years with only a few disruptions during World War II. In 1936, Art Satherley began recording them on American Record Company labels and later on Columbia. They remained at Columbia for 39 years and sold more than 40 million albums. The first two recordings included secular songs but the gospel music was so popular with their audience they soon began performing gospel music exclusively. The CHUCK WAGON GANG began touring outside of Texas in the late 1940s. They were surprised to find they had a rather large fan base across the other states they visited due in part to the Rev. J. Bazzal Mull, a Baptist minister and broadcaster who sold thousands of their records through the mail. The CHUCK WAGON GANG had a pure stripped down style that showcased their true harmonies. Dad played mandolin on the secular recordings. Otherwise, Jim's acoustic guitar was their only accompaniment until 1954 when he was replaced by younger brother Roy and they added Anna's husband Howard Gordon playing electric guitar. Dad Carter retired in 1956 and was replaced by another son Eddie. Eddie only traveled with them for a short time. 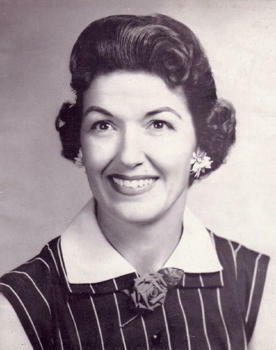 In 1957, the first non-family member, Pat McKeehan, joined the group. During the 1960s, THE CHUCK WAGON GANG appeared on TV and sang on the Grand Ole Opry, the Louisiana Hayride, Florida Gator Bowl, the Hollywood Bowl, and Carnegie Hall. They appeared in a movie called SING A SONG FOR HEAVEN'S SAKE. Rose retired in 1966. Howard Gordon died in 1967. Anna kept the group going with her daughter Vickie, son Greg (the object of my never mentioned crush. There was another son William but I never knew him. ), and Jim Black. She married Jimmie Davis late in 1968 and sang with her new husband's trio. Siblings Roy and Ruth Ellen Carter revised THE CHUCK WAGON GANG and continued to record through the 1980s. They were MUSIC CITY NEWS' Gospel Group of the Year five times during the late 1980s. They were inducted into the Gospel Music Hall of Fame in 1999. They are also in the Smithsonian Institution's classic American recordings. Though there have been several personnel changes over the years, THE CHUCK WAGON GANG is still recording and touring. They are keeping the traditional music alive by singing and playing in the same style as the original Carter family. I truly commend them for that though I really lost interest after Anna moved on. She was what made their sound and appeal for me. Anna Carter Gordon Davis passed away on March 5, 2004 at the age of 87. She was beautiful and she was sweet. She had a voice the likes of which we will never hear again this side of Heaven.